Learn how AdvancedMD software lets billing staff automate nearly every aspect of your revenue cycle. 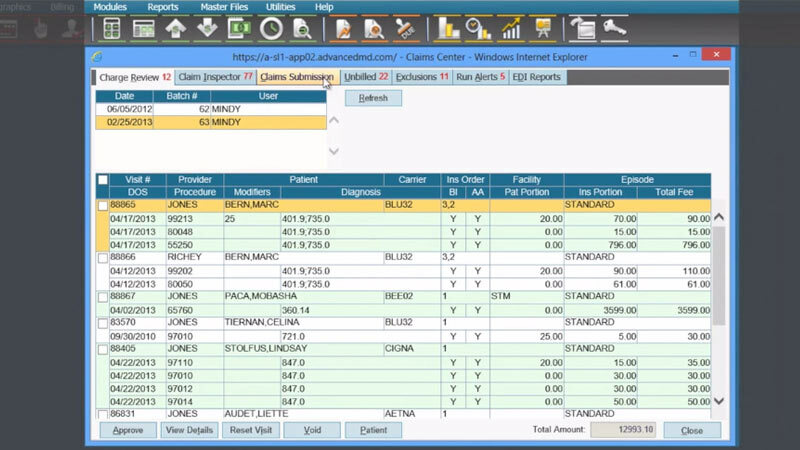 This product demo highlights how AdvancedMD software lets billing staff automate nearly every aspect of your revenue cycle. You’ll see the screens and processes that let you focus on collecting money not data entry. You’ll be exposed to industry-leading billing features such as the AdvancedMD clearinghouse, claim scrubber and claim center. We explain how these can help you achieve maximum first-pass acceptance for one of the fastest ROIs.